This is a revolutionary undergarment that slenderizes and shapes your figure from below the bust line all the way to just above your knees. It firms and shapes your midriff, tummy sides, back, derriere, hips, thighs and upper legs to transform your figure to provide instant trim, contour, shape makes you look 10 or 20 pounds thinner. Instantly look 10 or 20 pounds thinner! 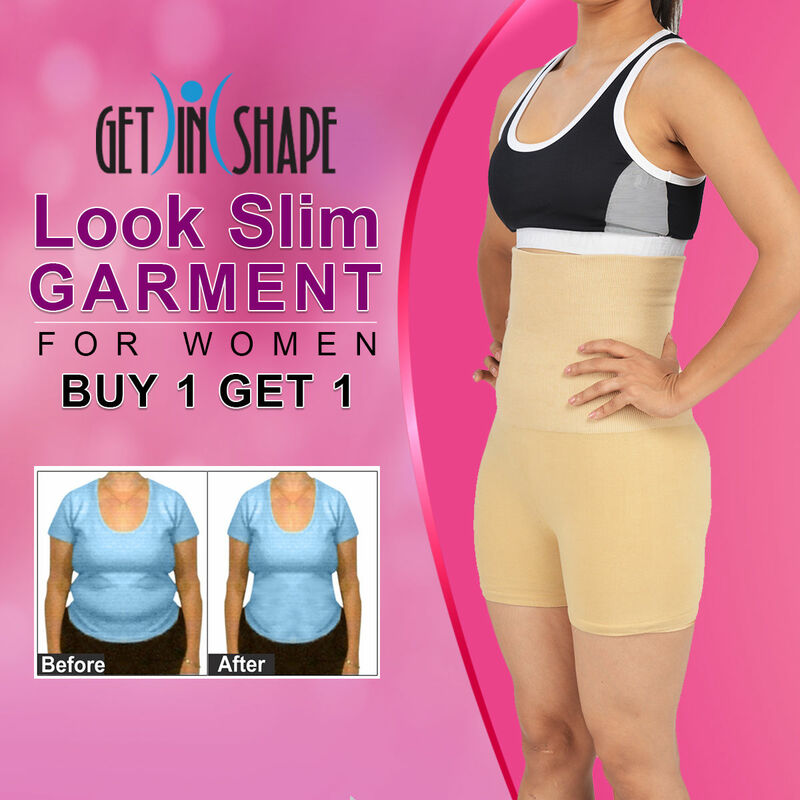 Get In Shape Look Slim Garment fo..VSGet In Shape Fitness Belt And Pan.. Get In Shape Look Slim Garment fo.. VS Get In Shape Fitness Belt And Pan..
Get In Shape Look Slim Garment fo..VSGet In Shape Look Slim Garment fo.. Get In Shape Look Slim Garment fo.. VS Get In Shape Look Slim Garment fo..
Get In Shape Look Slim Garment fo..VSGet In Shape Slimming Vest for Me.. Get In Shape Look Slim Garment fo.. VS Get In Shape Slimming Vest for Me..
Get In Shape Look Slim Garment fo..VSGet In Shape Slimming Belt n Thig.. Get In Shape Look Slim Garment fo.. VS Get In Shape Slimming Belt n Thig..
Get In Shape Look Slim Garment fo..VSGet In Shape Seamless Full Body S.. Get In Shape Look Slim Garment fo.. VS Get In Shape Seamless Full Body S..